"Let's eat all the tacos! Oh and a few more items as well...", exclaimed Sean. Translation: let's do what Mijune does every meal... 3x a day... Okay, I may not be able to do that on a consistent basis, but once in a while, I'm game. The destination? 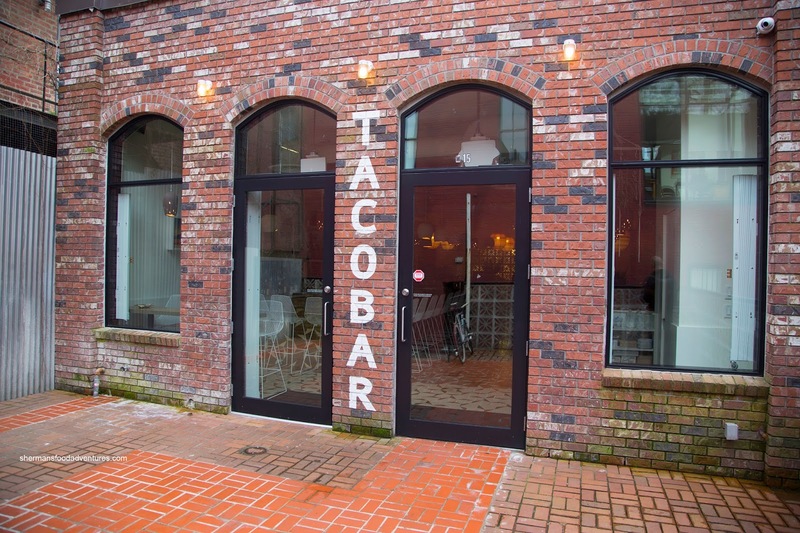 The new Tacofino located off Blood Alley or at the back of the Burrito Bar off Cordova. 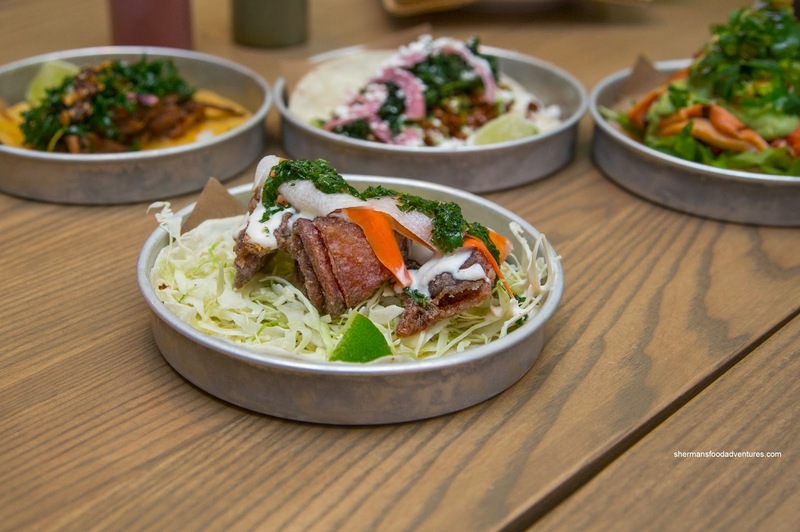 From their humble beginnings as one food truck in Tofino, there seems to be no end to their expansion as we are now onto their 5th iteration in BC. After entering off the infamous Blood Alley, we were seated to begin our session of gluttony. 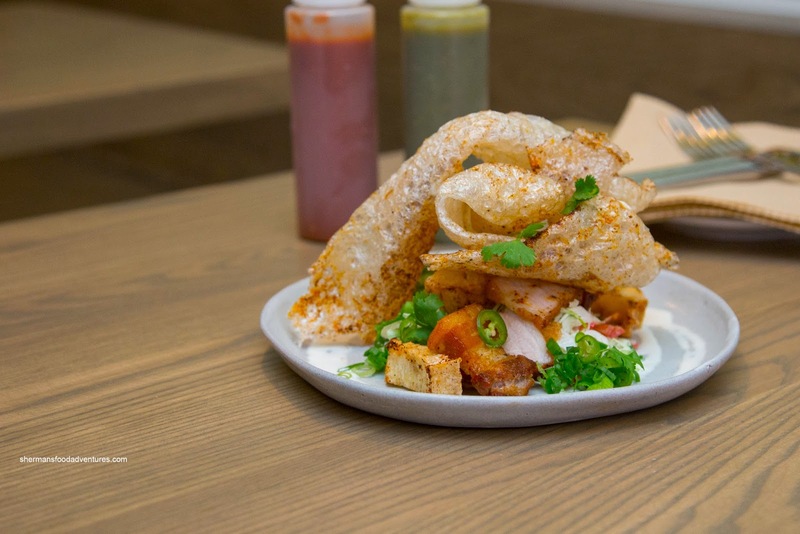 We started off with the Chicharones with yucca, crispy pork belly and slaw. Light, airy and crisp, the large pieces of chicharone were tossed in some spice. Also, tossed in the same spice mix, the accompanying pork belly was meaty and only slightly fatty. 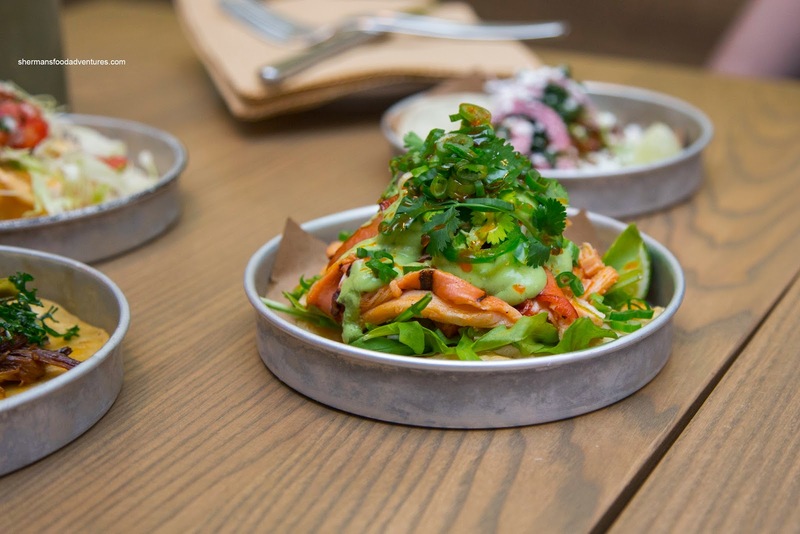 To balance things off, the slaw was refreshing, yet in need of acidity. I wasn't a huge fan of the fried yucca as it was too hard. 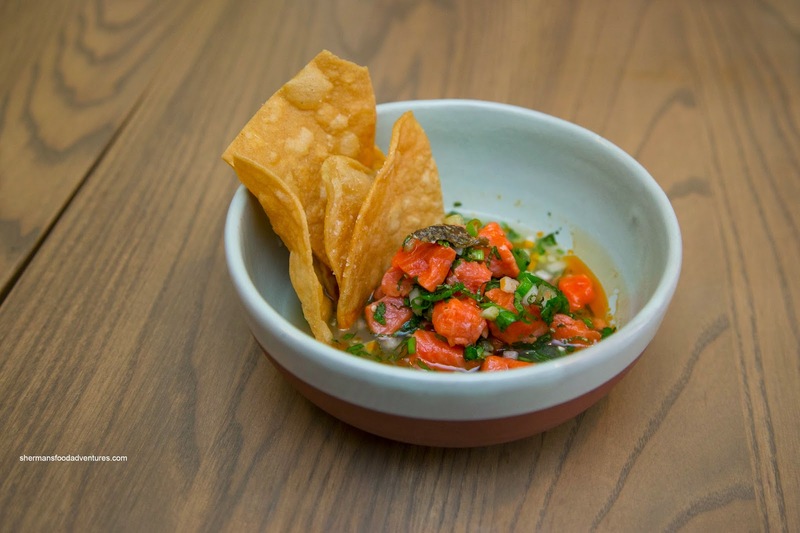 Next, we sampled the Salmon Ceviche with chinook salmon, salmon skin chicharone, tomatillo, herb salad and chips. I found the ceviche to be acidic, bright and a touch too sweet. The collection of herbs added another layer of flavour. Firm while still tender, the salmon was able to stand up to the marinade. When Sean said he would be aggressive with the menu, he wasn't kidding as we continued with more bites and we hadn't even gotten to the tacos yet! 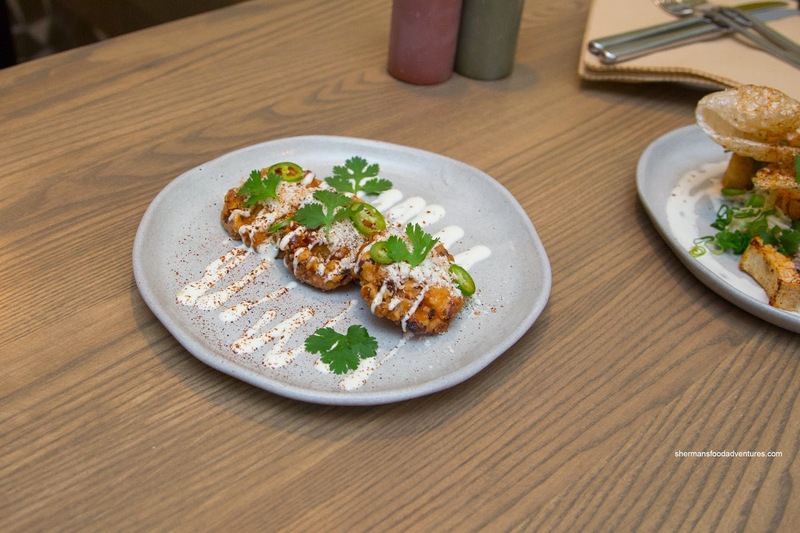 We continued on with the Oaxacan Corn Fritters with chili lime and cotija cheese. These were pretty firm where the exterior crunch was bordering on hard. Inside, the little nuggets of sweetness was provided by the niblets of corn. With a generous topping of cotija and chili, there was this spicy cheesy thing going on with a nice touch of tartness. 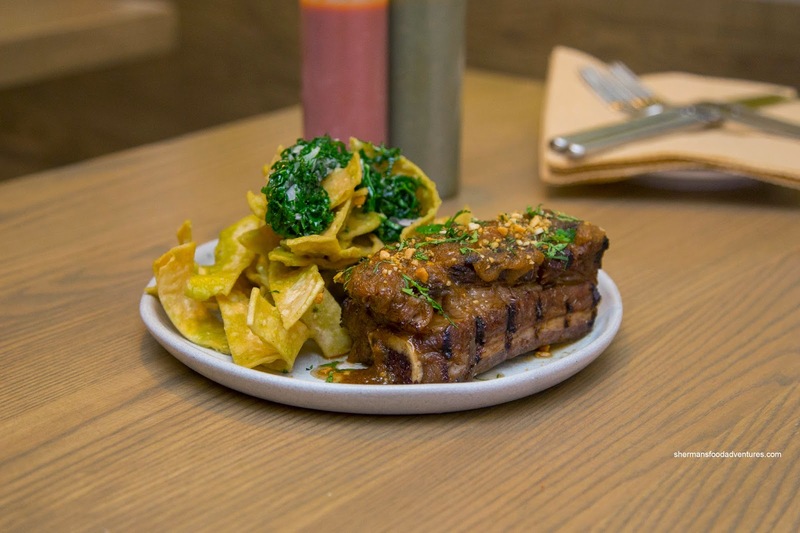 Served majestically, the Glazed Beef Rib and Chilaquiles with lemon grass, habanero, kale and peanuts. The slightly grilled beef rib was succulent and super juicy. Texturally, it had a meaty chew where most of the meat directly around the bone was impossible to eat (typical of short ribs). The whole thing was aromatic from the peanuts and lemongrass. Still not into the tacos, we had the Octopus Tostada with grilled pacific octopus, avocado-jalapeno crema and chili oil. I thought the octopus was prepared well where it was tender with a bit of residual chew. The creamy avocado was tangy where the chili oil added lingering heat. On the bottom, the crunch from the tostada was a good contrast texturally. Finally onto the tacos, we had their signature Fish Taco first. 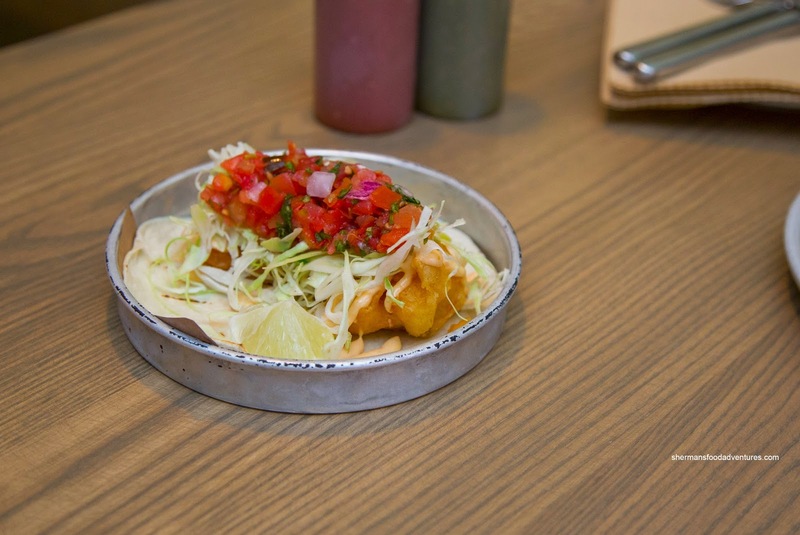 Consisting of a decently-size piece of Pacific cod topped with cabbage, chipotle mayo and salsa fresca, the whole thing was actually light and refreshing despite the crispy and flaky piece of fish. I guess the crunchy cabbage and vibrant salsa helped add a fresh brightness. I do believe this is still a very good fish taco and would gladly eat it over and over again. 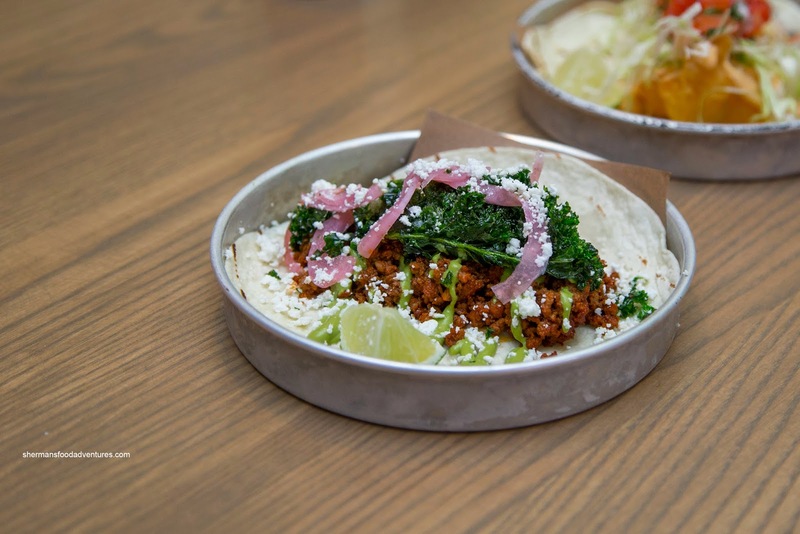 Next, we tackled the Red Chorizo Taco with crispy kale, avocado-jalapeno crema and pickled onions. As expected, the crumbled chorizo was oily while dry meaty in texture. This spicy taco was fairly heavy due to the type of meat. Hence, it could've used a bit more of the pickled onion to cut the grease. As much as kale is overused in many dishes, it worked here providing a light crunch and background aromatics. On the opposite end of the spectrum, the Crispy Chicken Taco (pickled vegetables, epazote chimichurri and buttermilk chili crema) was more mild with only the influence of the herbal garlickiness of the chimichurri and acidity of the pickled veggies. The chicken was indeed crispy where the meat was on the drier side. It was seasoned enough though. 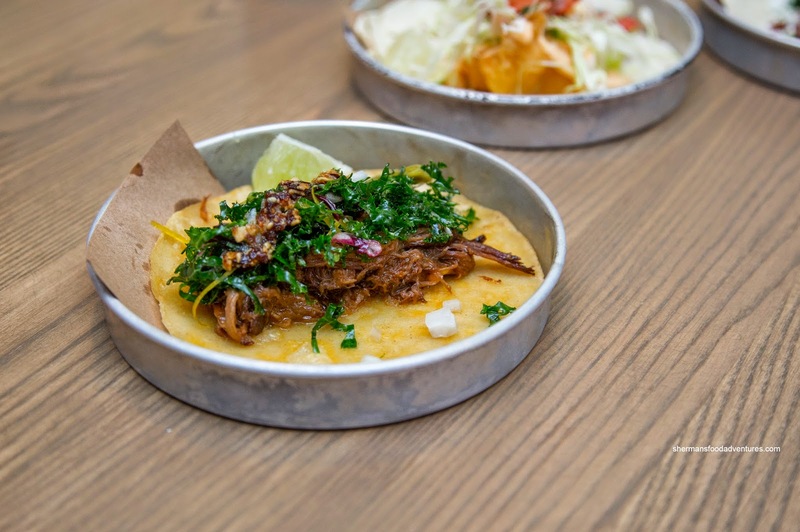 We had heightened expectations for our next dish which was the Lamb Birria with herb salad, arbol chili, pickled nopales and preserved lemon zest. Apparently people have raved about this one. Unfortunately for us, this was a total bust. The shredded lamb was practically inedible since it was stringy and chewy. On the other hand, the nopales on top were tender and not very slimy. There was a good amount of acidity due to the ingredients involved. 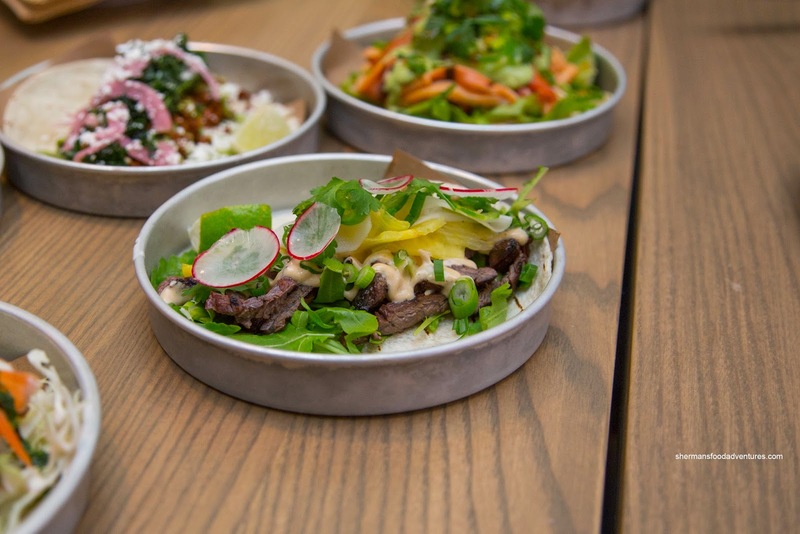 Our last item was the Steak Taco consisting of grilled skirt steak, pickled chayote and pineapple. Yes, we didn't really have all the tacos because we excluded the vegetarian options... Anyways, I found the steak to be sweet and spicy as well as being rather chewy. The pineapple was probably the main reason why the taco was so sweet. This one had a good balance of flavours, if only the steak was more tender. After destroying a good portion of the menu, I got the sense that the food was definitely interesting and generally good. Sure, there were a few hiccups, but that is normal with any restaurant.